Un nuovo album di Tim Hodgkinson è appena uscito per l'etichetta statunitense Mode; si intitola Sketch of Now e contiene esecuzioni dal vivo e in studio di sue composizioni degli ultimi quattro-cinque anni. Tim Hodgkinson on clarinet, bass clarinet, conduction & compositions, Vinny Golia on bass clarinet, Robert Reigle on tenor sax, Gustavo Aguliar on percussion, the Hyperion Ensemble and Iancu Dumitrescu as guest conductor. Unlike his two cohorts from Henry Cow, Fred Frith & Chris Cutler, Mr. Hodgkinson takes a long time with each of his solo efforts. 'Sketch of Now' is only his fifth solo disc since the break-up of Henry Cow in 1979. The past decade has been a busier time for Tim with a half dozen plus discs released including reissues: The Work's 'Live in Japan', the Woof Records compilation, Catherine Jauniaux's 'Fluvial' (which Tim produced) and Het, as well as two more recent discs each from both of Tim's trios, Konk Pak and K-Space. 'Sketch of Now' features six new works, each with different instrumentation and personnel. "Vers Kongsu II" features Tim as the solo clarinetist with Vinny Golia on bass clarinet, Gustavo Aguilar on percussion plus the Hyperion Ensemble conducted by Iancu Dumitrescu. Tim explains that he is dealing with a shamanistic form of dismemberment as the clarinet soloist's possibilities are torn apart and matched by the fragmentation of the ensemble. The piece is filled with extreme suspense and chilling cymbal-work. Both clarinets, Tim and Vinny, weave spaciously like dancing demons through the web-like sounds of the ensemble. "Here as a Sketch of Now" is the translation for the title of the next piece, for tape and ensemble. Tim recorded a thunderstorm, which is used here as the central sound with flute, tenor sax and percussion, mixed with slivers of sounds and occasional eruptions from the Hyperion Ensemble. A most powerful invocation of the spirits. "Fighting/Breathing" is for bass clarinet and taped percussion. Tim balances the percussive sounds of tongue-slapping on the bass clarinet with more static breath sounds, as well as with different wooden percussion sounds. The piece is actually quite minimal, so that every sound and silent space is important. "Fragor" is for computer modified cello and electric guitar and Tim was trying to get the phasing effect of flageolet glissandos on a fiddle, by manipulating the sound of the cello with a computer. While the sounds are quite fascinating, it is difficult to tell what is exactly going on. It reminds me of the way Tom Cora used to hold a thin metal rod next to one of his cello strings and then bow the rod. "De Yoknapatawpha" was written for two clarinets and piano. "Yoknapatawpha is a place where the same events are lived and retold differently by different characters". The piece is completely acoustic and rich in detail, with both clarinets and piano slowly shifting sounds, textures and sonorities. This piece balances the dark with the lighter undercurrents quite well, and erupts from time to time. The final piece is called "Further into Hard Stone" and for the entire ensemble plus flute, French horn and tenor sax soloists. Although it was originally derived from clarinet multiphonics played through a ring-modulator, Tim recomposed it for a larger acoustic ensemble. It is an exquisite work for various layers of shifting waves and currents. 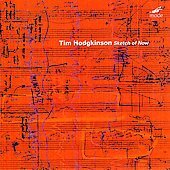 'Sketch of Now' is another rich and provocative collection of successful works from the ever-engaging spirit of Tim Hodgkinson. The HATFIELD & THE NORTH show that we sponsored last Sunday (6/25/06) was indeed an incredible performance. Hatfield (Phil Miller, Richard Sinclair, Alex Maguire & Pip Pyle) played two one hour sets at the Bowery Poetry Club, their first ever New York performance. 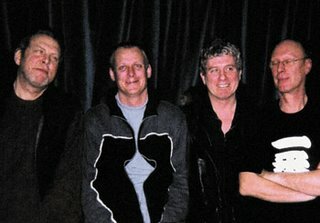 Considering their original two studio records are from over thirty years ago, their unique Canterbury/progressive blend sounded just as fresh,whimsical and crafty today. They played songs from both studio records, their single ("Fitter Stoke Takes a Bath"), a couple of songs from Matching Mole ("God Song" was just sublime!?!) 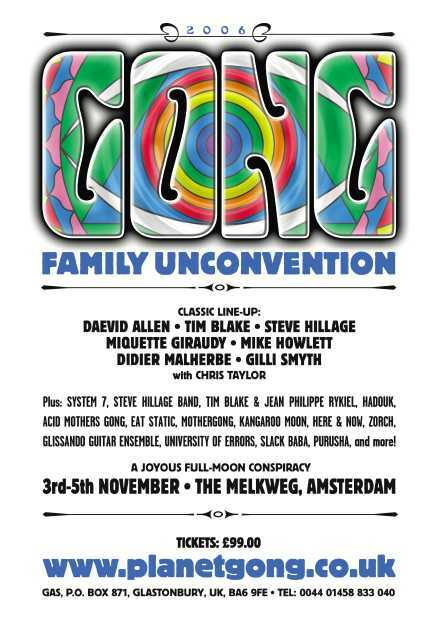 and a few Richard Sinclair solo tunes. It was a perfect balance between Richard's charming vocal tunes and the riveting playing of all four master musicians. 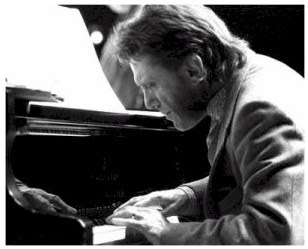 Una bella intervista a Keith Tippett è da poco pubblicata in Jazz Views. Estese recensioni dello splendido box antologico Out of the Cold Storage dei This Heat si trovano in questi giorni in Pitchfork e Warped Reality; sul cofanetto, dapprima in sottoscrizione e ora ufficialmente disponibile da ReR, c'è anche un forum di discussione presso Bagatellen. This Heat were born in the years immediately preceding punk rock. Severe young men Charles Bullen and Charles Hayward were making things go pish-ding-whoosh on London’s free-improvising circuit and had links to the waning days of Canterbury’s whimsical and conceptual prog rock scene. So though punk riled them up - as it riled up many under-30s lurking in the corners of London in the summer of 1976 - it’s unsurprising that what they produced in response sounds little like the Clash. They hooked up with “non-musician” Gareth Williams and took up in an abandoned meat locker dubbed Cold Storage. Like Can in their castle or Faust in their farmhouse, This Heat recorded endlessly at Cold Storage, editing the results down into (semi-) coherent chunks. What This Heat produced there is a remarkable body of work, even in the context of creative abundance that was British post-punk. Hayward sang in a keening voice with audible debts to Robert Wyatt, but without the former Soft Machine leader's warmth and sentimentality. This Heat’s astringent combination of tape loops, coruscating sheet metal guitar, Krautrock-inspired groove, improvised noise, and Reagan/Thatcher-era political despair felt frigid to the touch. Listening today you can almost hear Cold Storage’s rusted pipes and crackled, mottled porcelain as captured in this new box set’s black-and-white photographs. 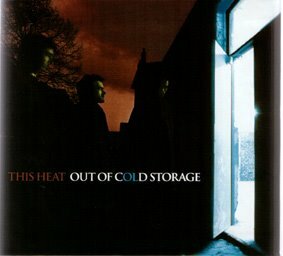 Out of Cold Storage contains the complete works of This Heat, along with a disc of live recordings and an informative booklet where the surviving members (Williams passed away in 2001) dissect their discography. It’s a sumptuously packaged, limited-edition, mail-order release, and since most of the material has long been available only as bootlegs or on mp3, the sound quality of these remasters is an obvious improvement. 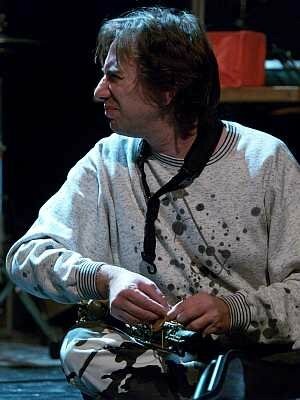 Pochi giorni fa a Londra John Zorn ha dedicato un concerto alla memoria di Derek Bailey, convocando altri collaboratori dello scomparso chitarrista: Milford Graves, Tony Oxley, Gavin Bryars, Bill Laswell, George Lewis, e anche Mike Patton. 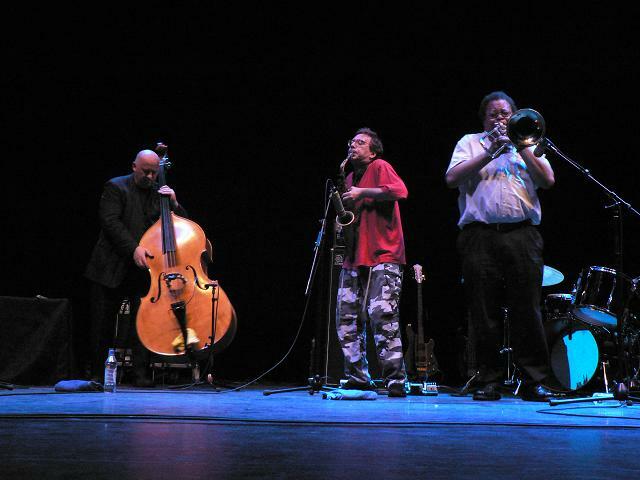 Il concerto, che si è tenuto alla Barbican Hall, viene trasmesso venerdì 23 giugno dal programma Jazz on 3 della BBC. Lo si potrà sentire anche in streaming nei giorni successivi (generalmente i file della trasmissione rimangono in archivio una settimana). 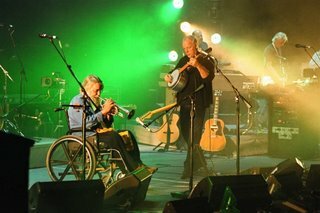 Robert Wyatt era tra gli ospiti intervenuti ad animare i tre concerti londinesi di David Gilmour, nel corso dello stratosferico tour allestito per promuovere l'album On An Island. 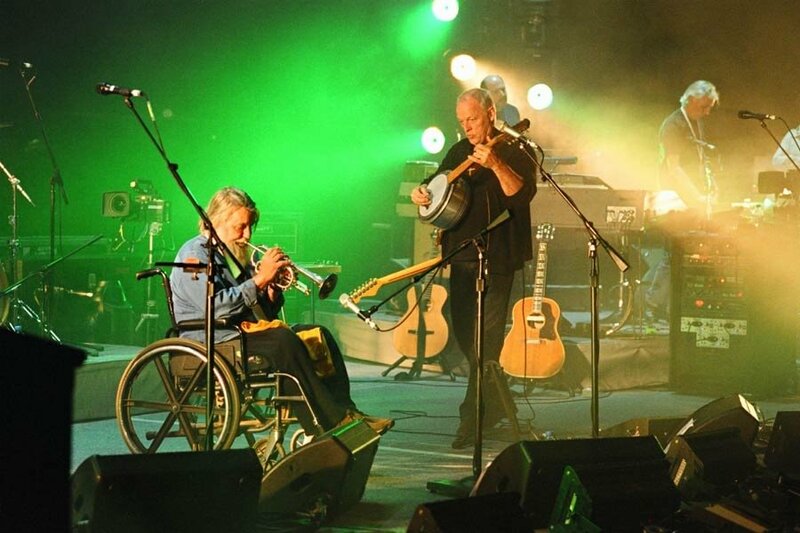 Tutto esaurito per tre sere consecutive alla Royal Albert Hall, dal 29 al 31 maggio scorso, con la partecipazione anche di David Crosby, Graham Nash, Nick Mason, David Bowie e Mica Paris. Contrariamente alle apparizioni degli anni scorsi a fianco di Gilmour, stavolta Wyatt è salito per davvero in scena, non per cantare ma per suonare l'ormai fida cornetta nel brano Then I Close My Eyes. Malato da tempo, è morto due giorni fa a Vienna all'età di 83 anni György Ligeti, uno dei massimi compositori del ventesimo secolo. I suoi funerali sono annunciati per il 26 giugno, sempre a Vienna. Ligeti nacque a Dicsöszentmárton (ora Târnaveni) e ricevette le basi musicali al conservatorio di Kolozsvár (Cluj-Napoca), entrambe in Transilvania, Romania. La sua educazione fu interrotta nel 1943, quando, essendo ebreo, fu costretto ai lavori forzati dal partito nazista. Nello stesso periodo i suoi genitori, suo fratello e altri parenti furono deportati al campo di concentramento di Auschwitz; sua madre, l’unica sopravvissuta. Dopo la guerra, Ligeti riprese i suoi studi a Budapest, laureandosi nel 1949. Studiò con Pál Kadosa, Ferenc Farkas, Zoltán Kodály e Sándor Veress. Continuò il suo lavoro di musica etnica con la musica popolare romena, ma dopo un anno tornò alla sua vecchia scuola a Budapest, questa volta come docente di armonia, contrappunto e analisi musicale. Tuttavia le comunicazioni tra l’Ungheria e l’ovest vennero interrotte dal governo comunista di allora, e Ligeti dovette ascoltare segretamente le trasmissioni radio per tenersi aggiornato circa gli sviluppi musicali. Nel dicembre del 1956, due mesi dopo la repressione della rivolta ungherese attuata dall’esercito sovietico, fuggì a Vienna e infine ottenne la cittadinanza austriaca. Lì ebbe la possibilità di incontrare personaggi importanti di avanguardia dai quali venne isolato in Ungheria. Tra questi, i compositori Karlheinz Stockhausen e Gottfried Michael König, entrambi innovatori di allora dediti alla musica elettronica. Ligeti lavorò nel loro stesso studio, a Köln, e fu ispirato dai suoni che poteva creare lì. A ogni modo, produsse poca musica elettronica da sé, e non si concentrò su lavori strumentali che contenessero strutture elettroniche. Da questo momento, l’opera di Ligeti divenne maggiormente conosciuta e rispettata, e si potrebbe dire che le sue più note composizioni abbraccino il periodo che va da Apparitions (1958-9) a Lontano (1967), sebbene la sua ultima opera lirica, Le Grand Macabre (1978), sia pure molto famosa. In anni più recenti, i suoi tre libri per pianoforte Études sono diventati abbastanza noti grazie alle registrazioni di Pierre-Laurent Aimard, Fredrik Ullén, e altri. Nel 1973 György Ligeti ottenne una cattedra ad Amburgo, lasciata nel 1989. Dagli anni ‘80 ha dovuto sopportare i problemi di una cattiva salute, che ha rallentato la sua produzione, per quanto abbia continuato a scrivere. Ligeti ha anche espresso una passione per la geometria frattale di Benoît Mandelbrot, e gli scritti di Lewis Carroll e Douglas R. Hofstadter. Nel 2004 è uscito per la Alet Edizioni, collana Diorami, il libro-intervista di Eckhard Roelcke e György Ligeti "Lei sogna a colori? ", ISBN 88-7520-005-X. György Ligeti è morto a Vienna il 12 giugno 2006 all'età di 83 anni. On Monday morning, the Austrian-Hungarian composer György Ligeti died in Vienna at the age of 83 after suffering from a serious illness. With him, we have lost one of the greatest composers of the 20th century. György Ligeti was an adventurer in form and expression and a great visionary of contemporary music. 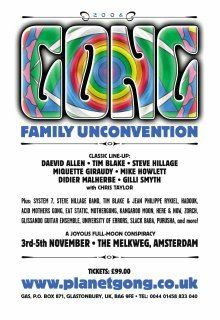 His richly varied output takes a special position in its musical quality and uncompromising individuality. Ligeti moved far away from aesthetic trends and methods all his life. He was characterized by fresh and unorthodox ideas, any form of dogmatism was foreign to his nature, his entire oeuvre is marked by radical turning points. Admired and hugely influential in the profession, the sensual accessibility of his music has won the hearts of audiences everywhere. Atmosphères, the orchestral work he created in 1961, made Ligeti instantly well-known. In this piece, he worked almost completely without traditional melodic, harmonic and rhythmic parameters and concentrated on sounds with constantly changing textures. ‘Micropolyphony’, he once described, ‘means such a dense tissue that the individual parts become inaudible and only the resulting intermingling harmonies are effective as a form'. For him, however, techniques were never an end in themselves. Ligeti did not keep long to iridescent tonal surfaces, but always looked for new paths. His father and brother both died in concentration camps; he himself managed to escape the labour service of the Hungarian army in 1941 and had to flee to Austria after the Hungarian Revolution of 1956. Deeply affected by these events, he developed a strong dislike of any dictatorship and any form of intellectual restriction: 'I am an enemy of ideologies in the arts. Totalitarian regimes do not like dissonances.' Biochemistry, chaos research, fractal geometry – Ligeti, who initially intended to study physics, found inspiration in the natural world for new compositional principles. During his long years as a teacher of international repute, he encouraged the independence, originality and uncompromising self-criticism of his pupils: 'There is only one tradition. Our music either stands up to it or not.' After his intensive work at the Studio für elektronische Musik of the WDR in Cologne in the 1950s and the development of micropolyphony in the 1960s, his personal style became simpler and more transparent in the 1970s. And as if wanting to withdraw from the predominating musical tendencies, he began to use tonal sounds again. 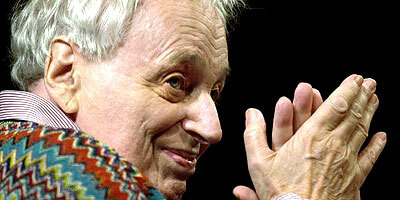 Ligeti said: 'I no longer listen to rules on what is to be regarded as modern and what as old-fashioned.' His only full-length stage work Le Grand Macabre was inspired by the theatre of the absurd and is teeming with operetta-like wit and black humour. The composer wanted to communicate more directly with audiences: 'Stage action and music should be dangerous and bizarre, absolutely exaggerated, absolutely crazy.' In the 1980s and 1990s, Ligeti expanded his musical horizons again, incorporating structural principles of African drumming music into his works: the fanatic of the intricate developed new complex polyrhythmic techniques. They form the basis of the 3 collections of his Études pour piano which are considered to be the most important piano music of the end of the 20th century. György Ligeti travelled a long road: from Romanian folk music and the tonal language of his fellow countryman Béla Bartók to his own cosmos of sounds. The mentor of a whole generation of composers, he wanted to 'fuse the fear of death with laughter'. 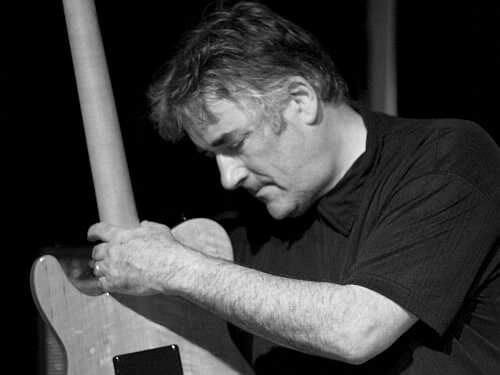 Circolano già alcune anticipazioni riguardanti i musicisti invitati alla ventesima edizione del festival Unlimited a Wels, Austria: Fred Frith, Camel Zekri, Janet Feder, Paolo Angeli, Charming Hostess, Irene Schweizer, Carla Kihlstedt, Stevie Wishart, Attwenger, Margareth Kammerer, Christof Kurzmann, Kai Fagaschinski. Le date sono dal 10 al 12 novembre 2006. Da lunedì 5 giugno a venerdì 9 giugno alle ore 16.00 andrà in onda su Rai Radio 3 per Storyville un ciclo curato da Stefano Zorzanello dedicato a Cornelius Cardew. Nessun Suono è Innocente. Sulle tracce di Cornelius Cardew. 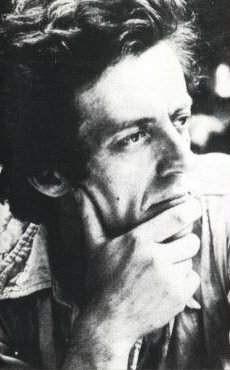 In questo ciclo di Storyville si narrerà della vita e del lavoro, del contesto artistico e sociale del compositore inglese Cornelius Cardew (1936-1981). Definire Cardew unicamente "un compositore" è tuttavia, per varie ragioni, decisamente riduttivo: fu tra i pionieri dell'improvvisazione di matrice europea con il gruppo AMM, e fervido divulgatore come eccellente pianista della musica di K.Stockhausen e P. Boulez in una prima fase, di Cage, Feldmann, Wolff, LaMonte Young poi; la sua attività di insegnamento influenzò una generazione di musicisti inglesi, tra i quali Howard Skempton, Dave Smith, Gavin Bryars; come teorico e polemista scrisse oltre a vari articoli un rovente pamphlet dal titolo "Stockhausen serve l'imperialismo"; in fine, come attivista politico fondò il Partito Comunista Rivoluzionario Britannico Marxista Leninista, impegnandosi in campagne di lotta progressista. Le sue convinzioni politiche lo portarono a rigettare il linguaggio dell'avanguardia e della sperimentazione a favore di un nuovo uso della tonalità, anche se rivisitata in modo personale, allo scopo di recuperare un contatto comunicativo con le masse, e di veicolare attraverso la musica i contenuti politici rivoluzionari giudicati più urgenti e prioritari. Oggi la musica di Cardew, tutta la sua musica, anteriore o successiva alla sua svolta politica, nonostante possa essere considerato il più importante compositore inglese degli ultimi cinquant'anni, si può dire completamente esclusa dai programmi di concerto e più in generale dai mass-media. Questo probabilmente perché la musica e la vita di Cardew pongono delle domande scomode, sono intrise di un linguaggio oggi considerato eccessivamente ideologico, a cui è difficile dare una risposta se non operando un cambiamento della nostra vita e del nostro modo di vedere il mondo. Può forse essere criticata la musica di Cornelius Cardew, il suo contributo concreto ai problemi da lui stesso posti, ma nessuno tra i suoi detrattori e tra i suoi principali "accusati" ha potuto attaccare la correttezza e le motivazioni della sua critica. Se è vero che la società ha una coscienza che si esprime attraverso le forme della cultura, la musica di Cardew rappresenta la parte scomoda della coscienza, e il suo oblio la conseguente rimozione. L'eredità di Cornelius Cardew è scomoda, ma in questo ancor oggi risiede la sua forza e la sua ricchezza. Origini e formazione di Cornelius Cardew. L'esperienza di lavoro con K.Stockhausen e successivo allontanamento. Contatti con i gruppi italo-americani presenti a Roma a metà degli anni sessanta, Gruppo di Improvvisazione Nuova Consonanza, Musica Elettronica Viva. La scrittura di "Treatise". La notazione grafica come ponte tra la musica scritta e l'improvvisazione. L'attenzione dei confronti della dimensione umana nella performance musicale. AMM e la pratica delll'improvvisazione. Il pensiero di Ludwig Wittgenstein come ispirazione per il pensiero di Cardew e per la sua integrità morale. La musica è erotica. Sul fallimento e sulla saggezza. Una memoria di Alvin Curran. Cardew insegnante. Aneddoti e pratiche di un insegnamento de-situante. Il cuore del problema: perché fai musica? La formazione della Scratch Orchestra. Vita della Scratch Orchestra: la Costituzione Provvisoria. I concerti nelle città e nelle campagne. Lo spirito anarchico e le iniziative individuali e i sottogruppi della S.O. Pratiche socio-musicali sperimentali, il tour di Newcatstle, reazioni delle autorità, delle forze dell'ordine e della stampa, campagna denigratoria contro Cornelius Cardew. Formazione del Gruppo di Studio Ideologico in seno alla Scratch Orchestra. Svolta Marxista Leninista, pubblicazione di "Sotckhausen Serves Imperialism". perché recuperare la tonalità in musica. Attività politica di Cornelius Cardew. Aspetti irrisolti sull'evento della sua morte.